– CRIME.NET – The dynamic contract database CRIME.NET lets players pick and choose from available jobs by connecting with local Contractors – all with their own agenda and best interests in mind. – Dynamic Scenarios – No heist ever plays out the same way twice, as heists comes with random geometry and events. – Choose Your Skills – As players progress they can invest in any of five special Skill Trees: Mastermind, Enforcer, Ghost, Technician and Fugitive. Each features a deep customization tree of associated skills and equipment to master. 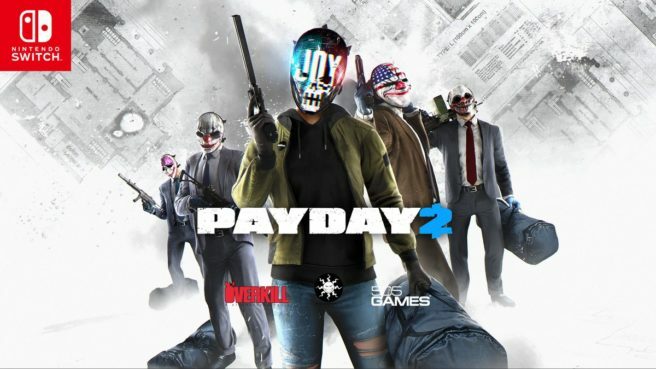 – More Masks than Ever – PAYDAY 2 features a completely new mask system, giving players the ability to craft their own unique mask together with a pattern and a color. – Weapons and Modifications – A huge arsenal for the serious heister, covering everything from sniper to assault rifles. You can modify your weapon with optics, suppressors, fore grips, reticles, barrels, frames, stocks and lots more. – Play It Your Way – Each job allows for multiple approaches, such as slow and stealthy ambushes, to running in guns blazing.